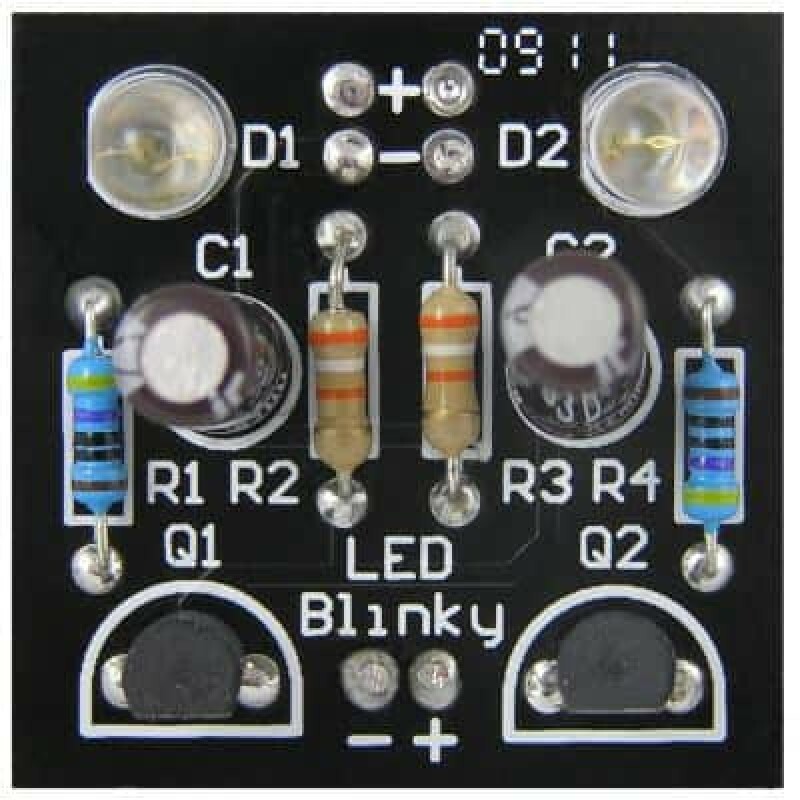 The LED Blinky dual LED flasher is one of our simplest projects ever, can be assembled in about 15 minutes and will definitely get attention when worn - a very simple LED flasher, alternating between two LEDs. 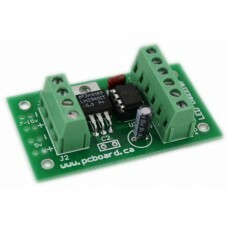 With only a limited number of components, consisting of two transistors, two capacitors, four resistors, two LEDs, the PC board and a battery – this system can be assembled by a novice in a matter of minutes with common parts from around your workbench. Average assembly of the system in less than 15 minutes is possible. 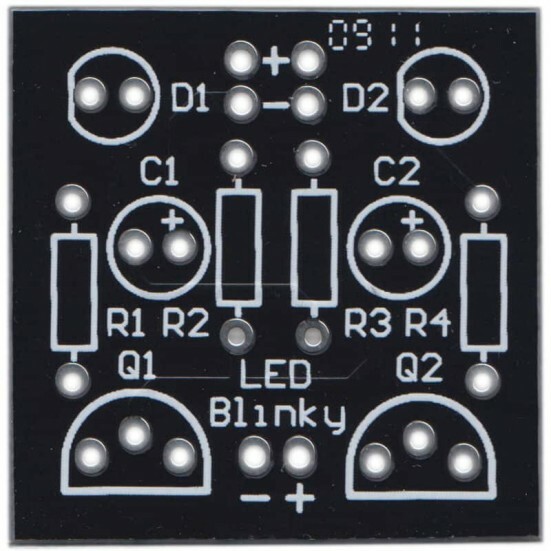 The PC board is a high quality, double-sided design, complete with solder masks on both sides, plated holes along with a high-contrast silk-screen labeling component positions measuring only 1.2" x 1.2" (31mm x 31mm). 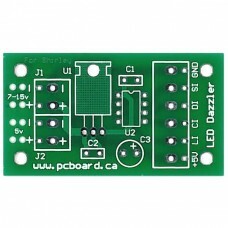 The design allows for the placement of a variety of sizes of LEDs including tiny 3mm models, standard 5mm models, all the way up to the huge 10mm models. The best effect is achieved when using LEDs with a frosted lens which produces a nice glow as opposed to regular LEDs which produce a spot-light effect. You can download the complete instruction manual with construction guide, schematics and detailed assembly instructions. 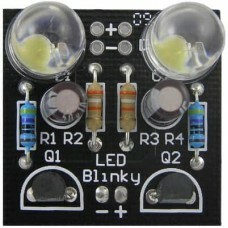 Visit the LED Blinky information page for more detailed information. 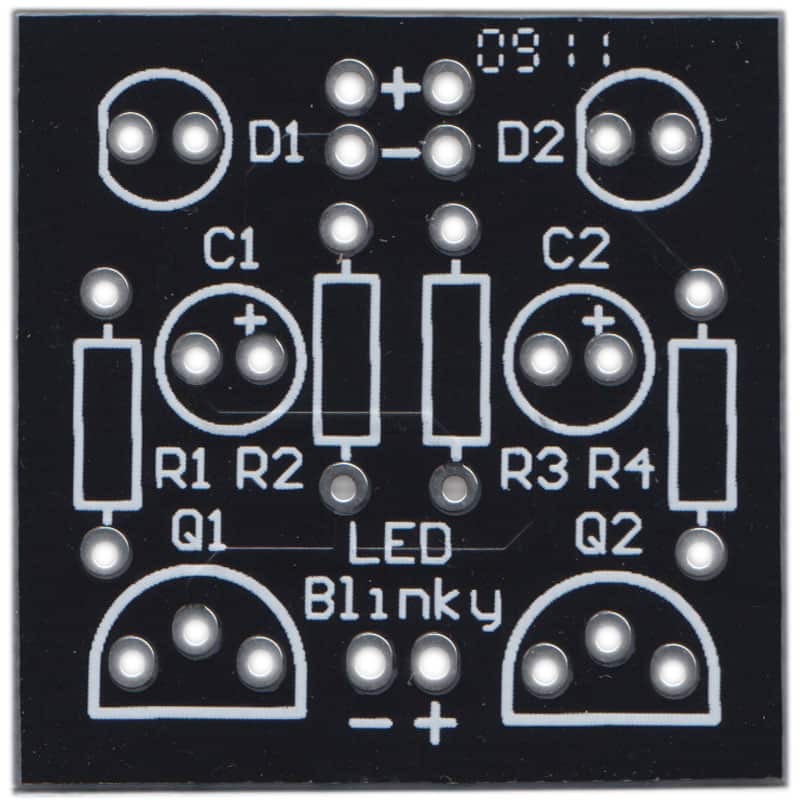 This product is for the blank LED Blinky PCB only allowing you to supply your own components and build it yourself.